NCIS returns tonight, and it’s the beginning of the end of Ziva’s time on the show. "Whiskey Tango Foxtrot" -- An explosion at a D.C. event that results in a casualty connected to the agency changes ParsonsÃ¢ÂÂ (Colin Hanks, center) perspective on Gibbs (Mark Harmon, left) and the NCIS team, on the 11th season premiere of NCIS, Tuesday, September 24 (8:00-9:00 PM, ET/PT) on the CBS Television Network. 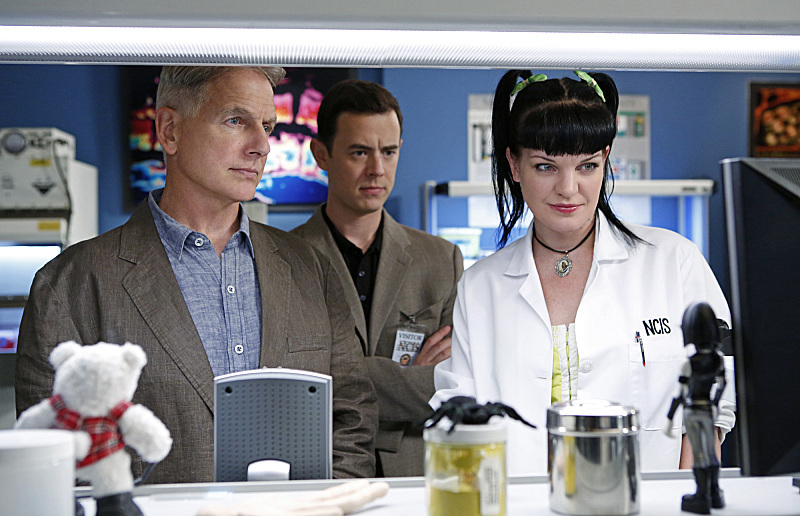 Also pictured: Pauley Perrette (right) Photo: Cliff Lipson/CBS ÃÂ©2013 CBS Broadcasting, Inc. All Rights Reserved. NCIS’ new season kicks off tonight at 8 PM on CBS.